Don't you just love butterflies? I do, so much! And I love rainbows too. These things make me smile. 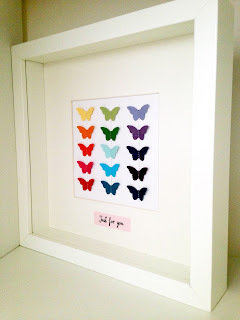 Today I have a tutorial on how to take a ready available and cheap Ikea ribba frame (23cm square) and decorate it for a beautiful gift. The beauty of this is that it so simple to create but it also looks chic and can easily be personalised for your recipient. I will show you a couple of ways to do this, so you can gift friends and/or family. Are you ready - let's go! So first of all you need to decide on your colours, I went for a rainbow but another option is to pick one colour and work your image through the different hues and tones in that colour. This works particularly well if you have a larger image in mind. 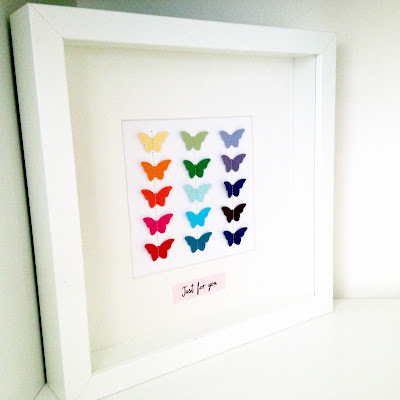 The ribba frame actually comes with a middle card cut out that is 12cm square so bear this in mind when you make your choice of image to punch. I used an awesome punch from Stampin' Up! 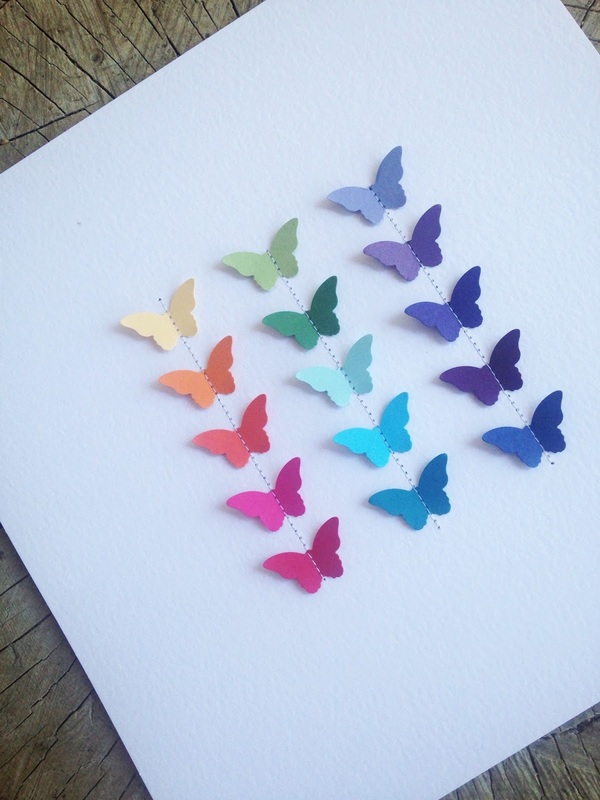 called Bitty Butterfly/Papillon Bitty and the following colours from Stampin' Up! Thanks for visiting today and well done if you read through to the end! Next week I will be back with another project, this time a video tutorial for a fold card and how to recreate some of the retired Stampin' Up! 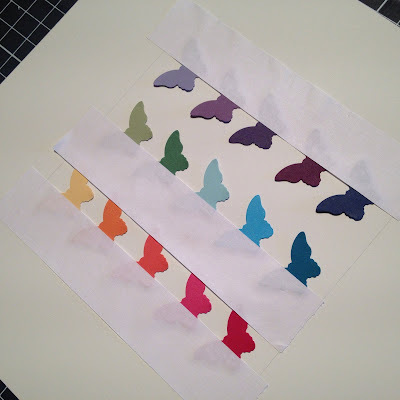 Painted Blooms paper (I love that so much!) using a current stamp set! Don't miss it - lots of awesomeness - sign up to my YouTube channel using the links on the right side bar! 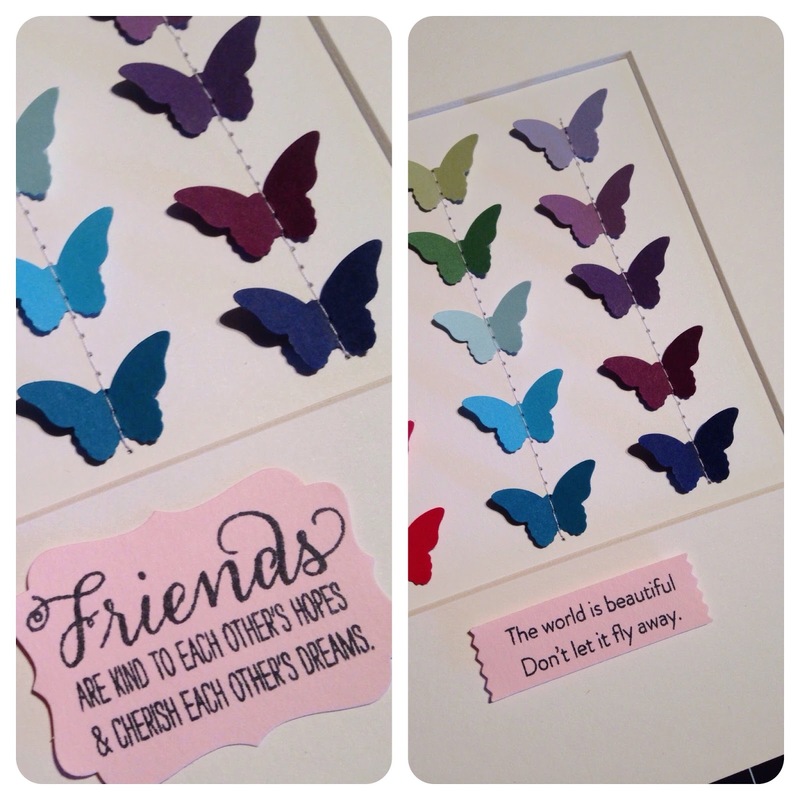 The original inspiration for this project came from this card by Laura Bassen. 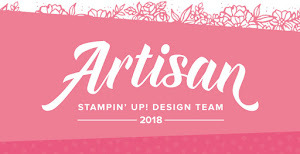 Please note I use affiliate links where possible, this means that when you purchase something via the Stampin' Up! online store I receive a small commission and this gives me funds for crafting. Thank you so much for your support.